I am still baking and cooking . To blog and record down my recipe seem harder now. Time is a scarce resources for me. I wish I can sleep lesser yet full of energy always and have more YES more time to do A LOT OF THINGS!! Hubby always remind me to slow down don't push myself too hard. So am learning , if something need to go it need to go . If I have to blog less that is the way it has to be. I just hope I will remember all the baking I have done and will blog it when time permit. I was in a baby shower for 2 lovely moms to be . Happen to talk to a lady who is celiac - that can not have gluten in her diet. How she was tested and finally understand all her tireness and unwell is tie with gluten product. Is good to learn something new each time when opportunity come by. It prompt me to make a gluten free cake. I knew now better what is gluten free mean . 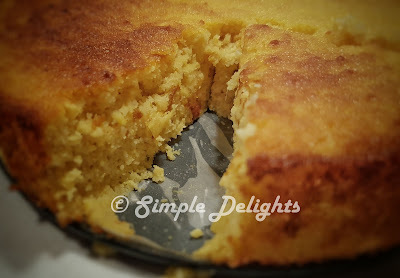 So here is the recipe I found and really love each bits of this cake. I change some of the method, as again I can not afford to spend too much time on boiling orange just for the cake . I read in another recipe, to learn how to get rid of the bitterness of the orange peel . 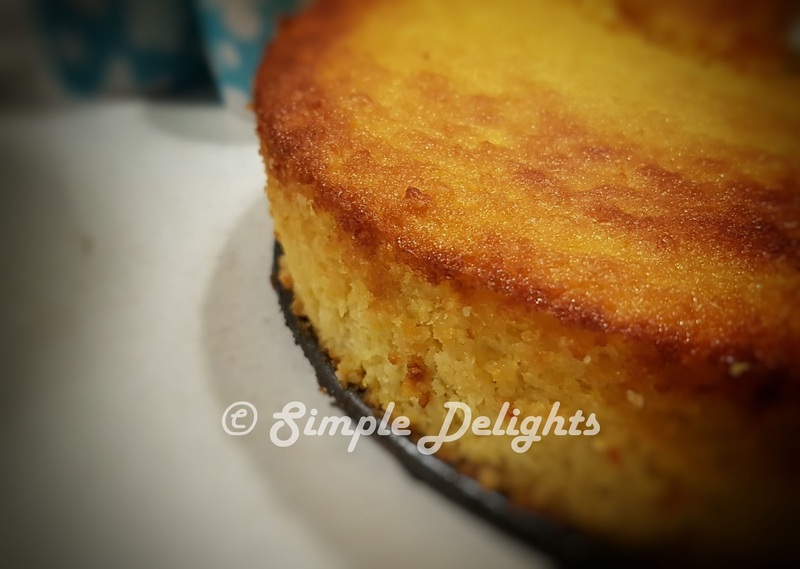 It works well and the fragrance of the orange in this cake is divine. 2. Bring the 3 whole orange back to boil in fresh water for about 30mins. Once finished boiling , take the orange out and cool it. 3. When the orange has cool down , cut into small bites, discard any seed. Blend the orange with skin and pulp till fine. 4. Beat the egg with sugar with electric mixer till light and fluffy. 5. Pour in the baking powder and fold the almond meal in alternate by orange mixture. 6. Preheat oven to 160C . Line a 20cm springform pan and grease the side of the cake pan. 8. If the cake turn too brown in the process of baking do cover with aluminium foil. My oven work well for me at the mark of 40min the cake is bake well and color is golden brown. So I do not cover the cake with foil. I used a smaller pan and have some cake in cup cake version , for my daughter afternoon snack . I simply love the taste of the cake , even when baking you can smell the fragrance of orange . Can I said this is a healthy cake ? I would think so . No oil , less sugar, plus orange and almond meal. This is a cake that good to go with a cup of tea. Thinking of it make me want to bake this cake again . If you love orange cake , this is a good recipe to keep. Only 4 ingredients , I suppose for almond meal can be substitute with cake flour . You can sprinkle some almond on top of the cake to bring some almond to this cake . Which I think would be a cheaper version too. Almond meal can be quite expensive . I have a few friends that can't have gluten. This looks like a perfect snack. I see serving orange cake cupcakes in my future.